Tue., July 31, 2012, 3:47 p.m.
A Stevens County judge today sentenced a convicted gun thief to 125 years in prison — a term that’s about 100 years longer than the sentences handed down to three others for a murder committed using one of the stolen guns. 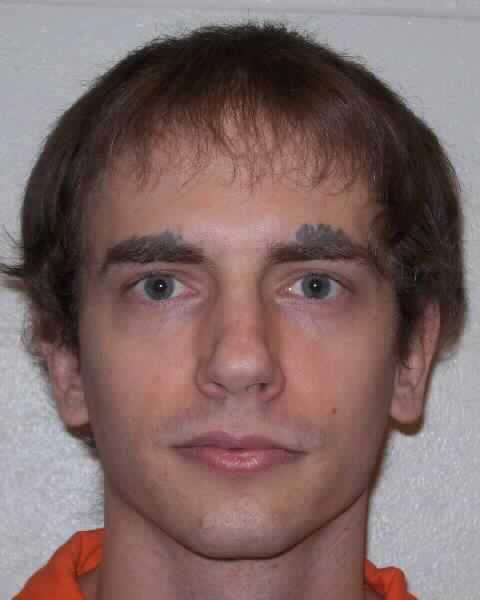 Superior Court Judge Pat Monasmith sentenced convicted felon Christopher G. Nichols, 27, to 125 years in prison, despite the fact that he had no role in the 2011 killing of Colville resident Gordon Feist. Nichols wept, Stevens County Prosecutor Tim Rasmussen said. Spurning a deal before trial that would have reduced his sentence by about 100 years, Nichols and his defense attorney, Bevan Maxey, took the case to trial, where a jury found Nichols guilty of 21 charges, including gun theft, trafficking in stolen property and being a felon in possession of firearms. As a result of the state’s “Hard Time for Armed Crime” law enacted in 1995, the sentences of the gun crimes must be served consecutively, one after another, Rasmussen said. Rasmussen said Monasmith discussed some reservations at the length of Nichols’ sentence compared to those convicted of killing Feist, but the judge also said he believed Nichols was well aware of the significance of a felon stealing and possessing guns. The judge also pointed out that Nichols committed the gun theft less than two years from getting out of a previous seven-year prison sentence for similar crimes. The crime that netted Nichols what amounts to a life sentence began on June 28, 2011, when he and Eric L. Booth, 26, broke into a home on Bradeen Road in Stevens County. The two men stole a safe containing several firearms. Booth then planned a ruse with 27-year-old Jesse J. Fellman-Shimmin and 25-year-old Collette M. Pierce to burglarize the home of Feist, 63, who served three tours in Vietnam as a Navy SEAL. Pretending they had run out of gas, Feist agreed to help and was driving the suspects back to their car with gas in his utility vehicle when Booth shot him in the head using one of the stolen guns. All three later pleaded guilty for their roles in the murder and testified against Nichols. Monasmith previously sentenced Fellman-Shimmin to 25 years in prison; Booth received 26 ½ years and the judge gave Pierce 15 years after she pleaded guilty to second-degree murder. Maxey, the defense attorney, had filed a motion seeking to have Monasmith sentence Nichols to 15 years under the argument that any more time would constitute cruel and unusual punishment. Rasmussen said he believed Nichols’ sentence of 125 years was one of the longest sentences ever handed down for a non-murder conviction. But the prosecutor said he was satisfied to have the case resolved. “Without the burglary of these firearms, this killing (of Feist) would not have occurred,” he said. Published: July 31, 2012, 3:47 p.m.